A small town with secrets to spare ... A fifth volume packed with drama, passion, and intrigue! Return to the continuing story of one of television's longest-running dramas: Peyton Place. 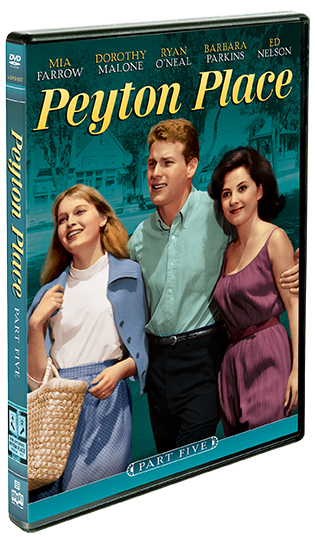 Exploring the interconnected lives and loves among the residents of a New England town, Peyton Place offers decidedly addictive storylines in the vein of your favorite prime time soap operas. 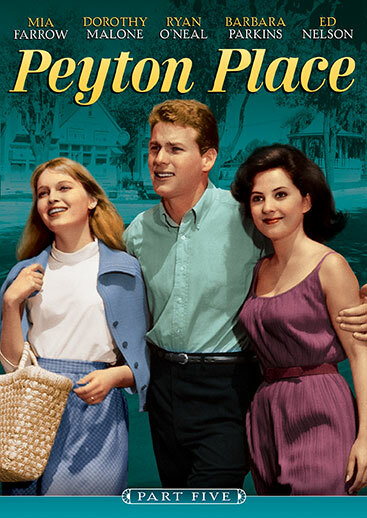 Peyton Place was a sensation in book, film, and television form, with the series running for 514 episodes on ABC from 1964 to 1969. Featuring such noteworthy actors as Dorothy Malone, Mia Farrow, Ryan O'Neal, and Lee Grant in its large ensemble cast, this latest installment of Peyton Place presents thirty-three episodes of bingeworthy drama to sate your hunger for sensational scandal.